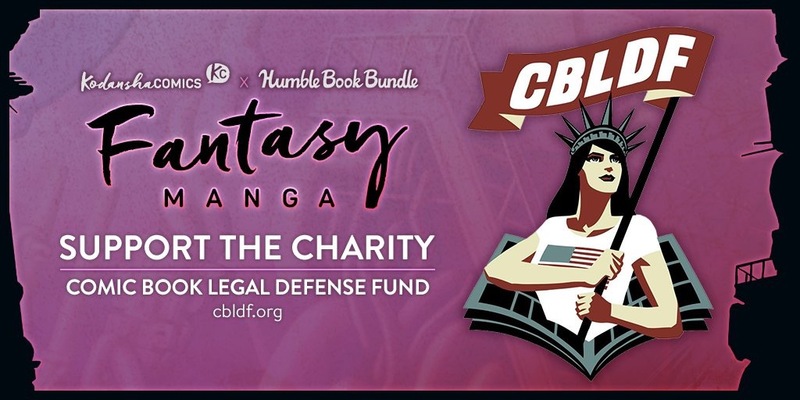 Kodansha Comics has joined with Humble Bundle to bring readers a huge cache of legendary fantasy manga that benefits Comic Book Legal Defense Fund! Over 90 digital volumes of amazing fantasy manga! Buyers pay what they want for manga hits like the soon to be blockbuster movie, Battle Angel Alita. Get it here! This bundle contains over $1000 worth of DRM-free digital manga that can be read anywhere on tons of devices, including Drifting Dragons, Battle Angel Alita, Flying Witch, ten volumes of Mushishi, and so much more! Rather than getting a discount on this epic collection, readers can pay what they want, starting at $1 to snag as much manga as they want! Get 91 Volumes of Manga Now! This special bundle ends WEDNESDAY, February 20, 11:00 A.M. PACIFIC TIME. The manga comes in multiple formats including CBZ, PDF, and ePub, so they can be read on computer, e-readers, iPads, cell phones, and a wide array of mobile devices. Bundle buyers choose where their money goes — among Kodansha Comics and Comic Book Legal Defense Fund. If they like what Humble Bundle does, they can leave a Humble Tip too. Founded in 1909, Kodansha Ltd. is Japan’s leading publishing house, based in Tokyo, Japan. Under the leadership of Yoshinobu Noma, company president since 2011, Kodansha continues to play a dominant role in the media world, producing books and magazines in a wide variety of genres including literature, fiction, nonfiction, children’s, business, lifestyle, art, manga, fashion, and journalism. Recently, the company has focused on creating and developing a wide range of digital businesses.